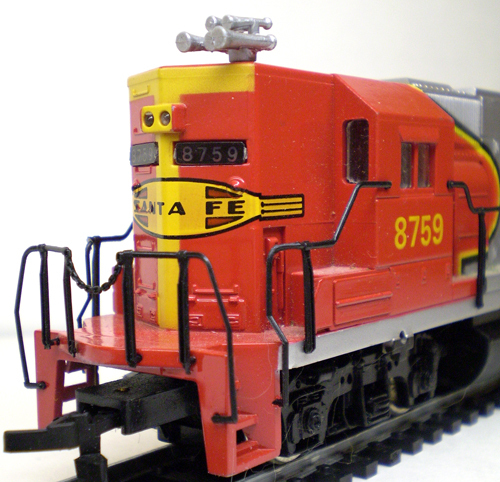 Bachmann's HO-scale GP50 is first found in the company's 1985 catalog. Illustrated is a mock-up Erie Lackawanna example. 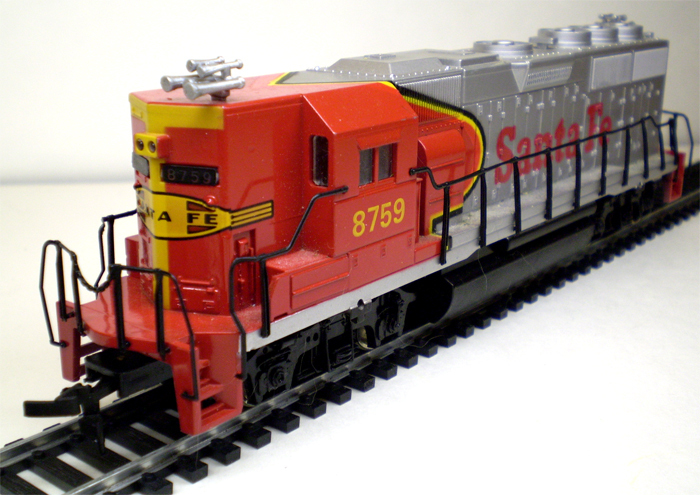 The model has a $22 retail and in addition to Erie Lackawanna, Bachmann lists Burlington Northern, Santa Fe, and Union Pacific road names. 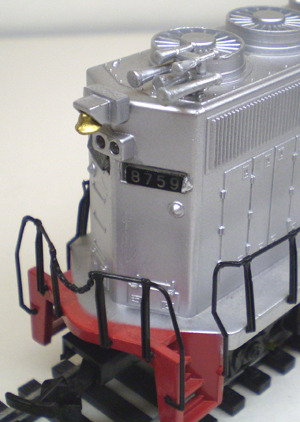 The design for Bachmann's HO-scale GP50 shares attributes with the company's SD40-2 and DDA40X that were added to the line a few years prior. Comparing the SD40-2 with the GP50, you'll note both include similar appearing sun shades molded above the side windows of the cab, the frame snaps into what looks somewhat like jacking pads along the frame, flexible handrails, and wide open front and rear pilots.